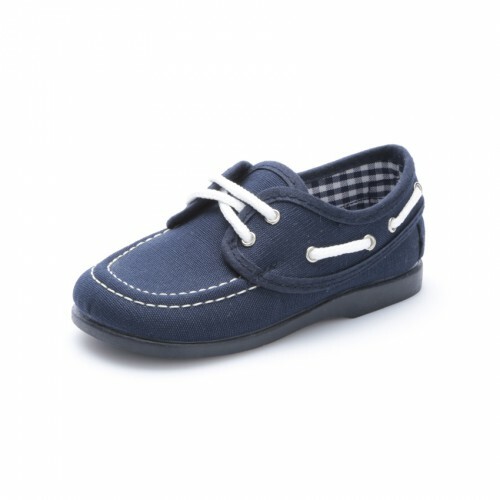 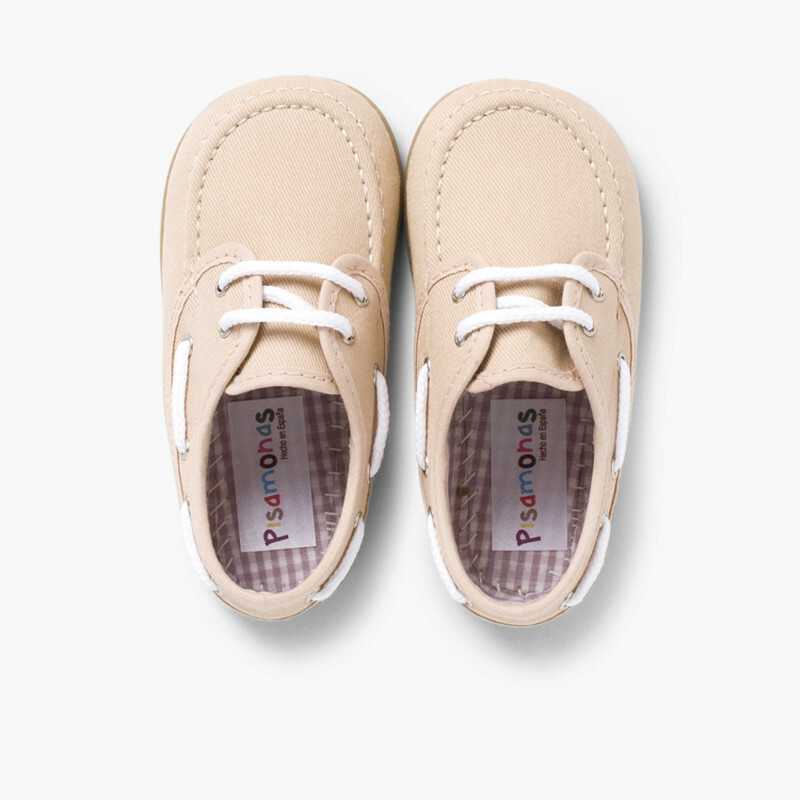 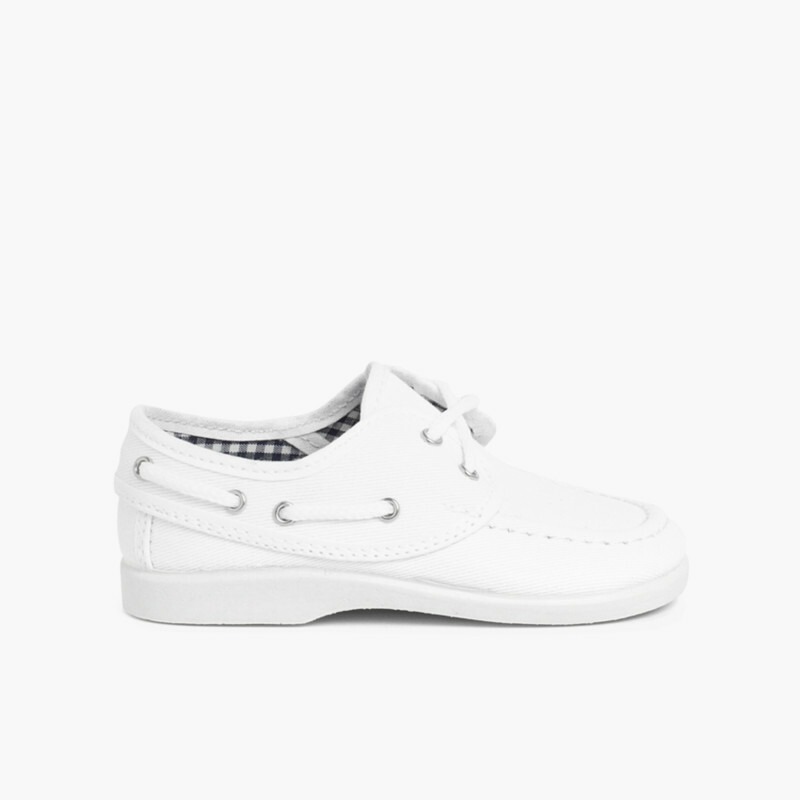 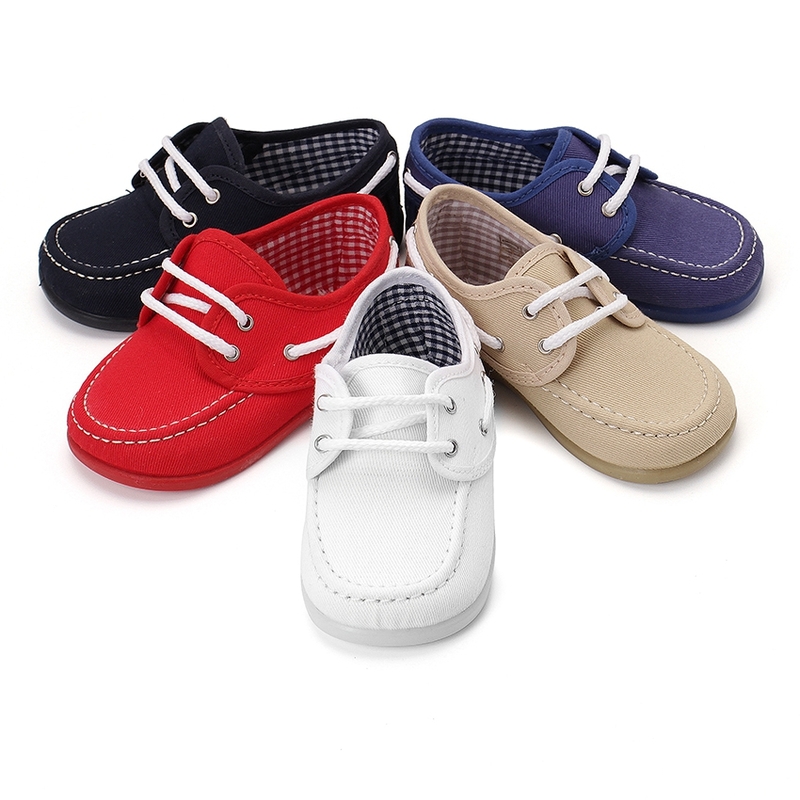 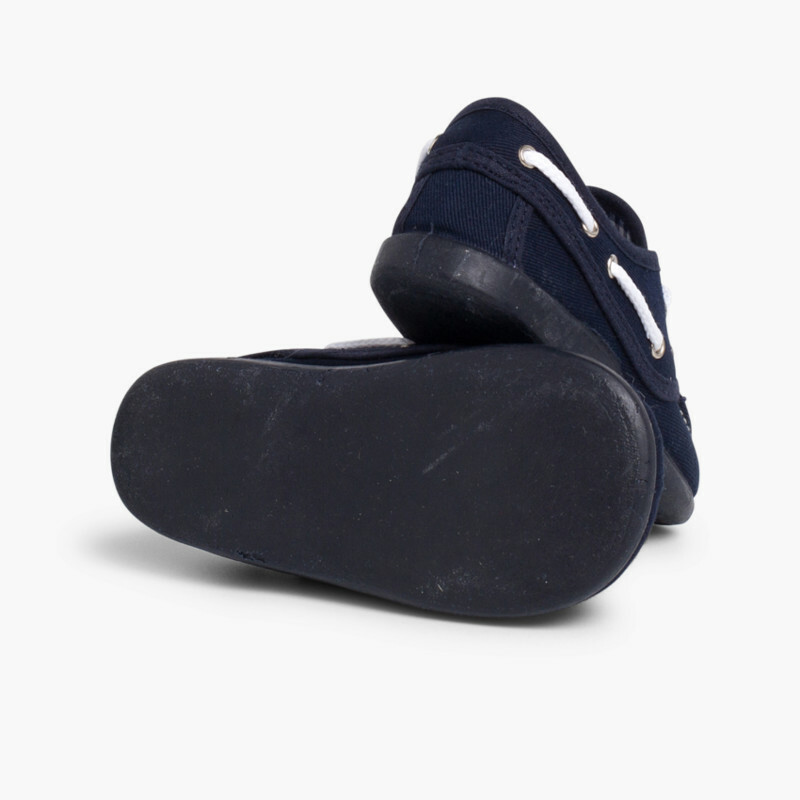 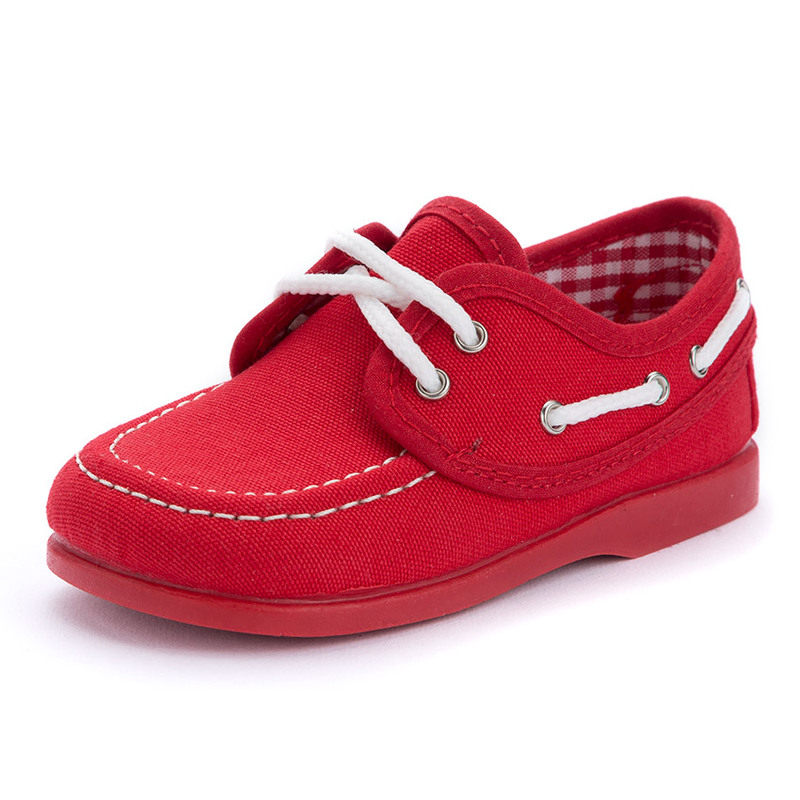 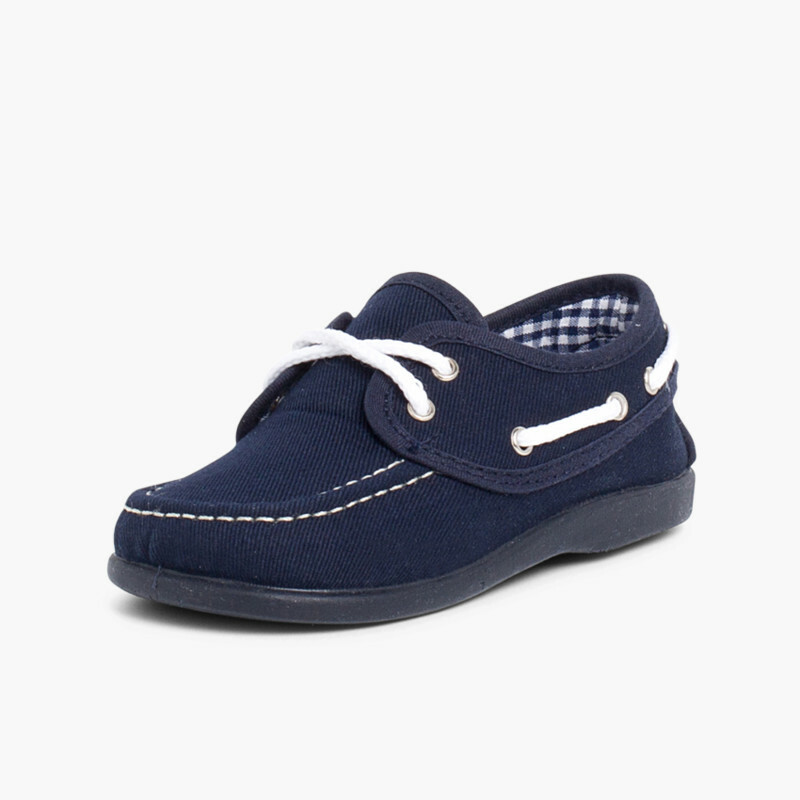 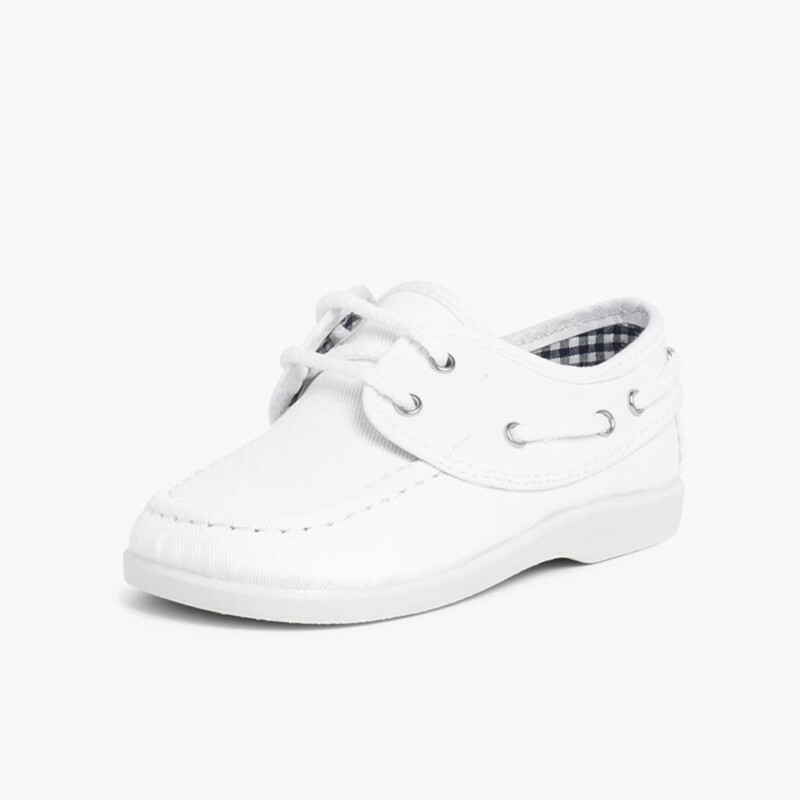 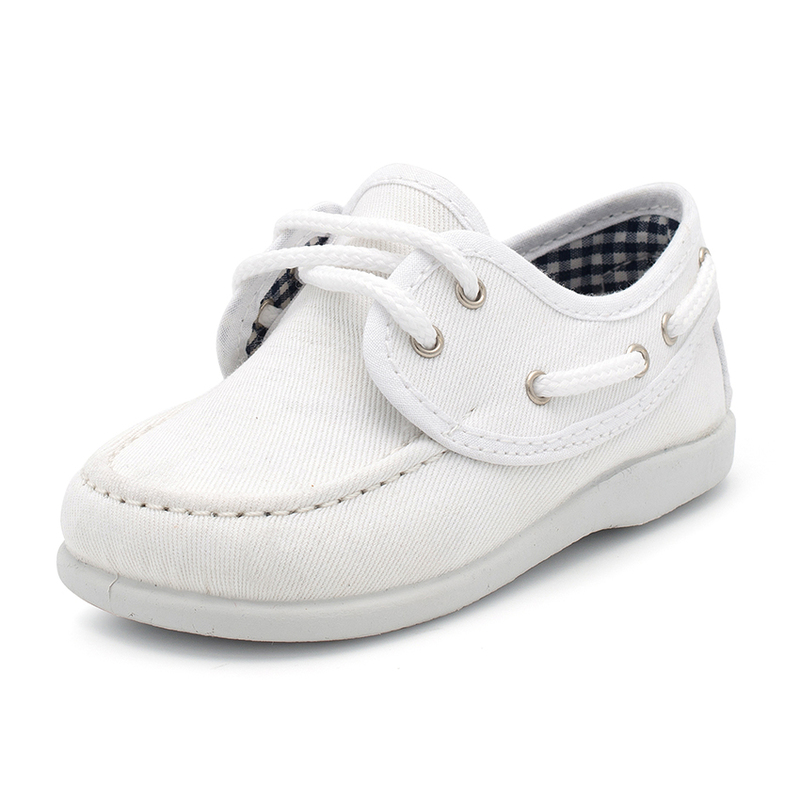 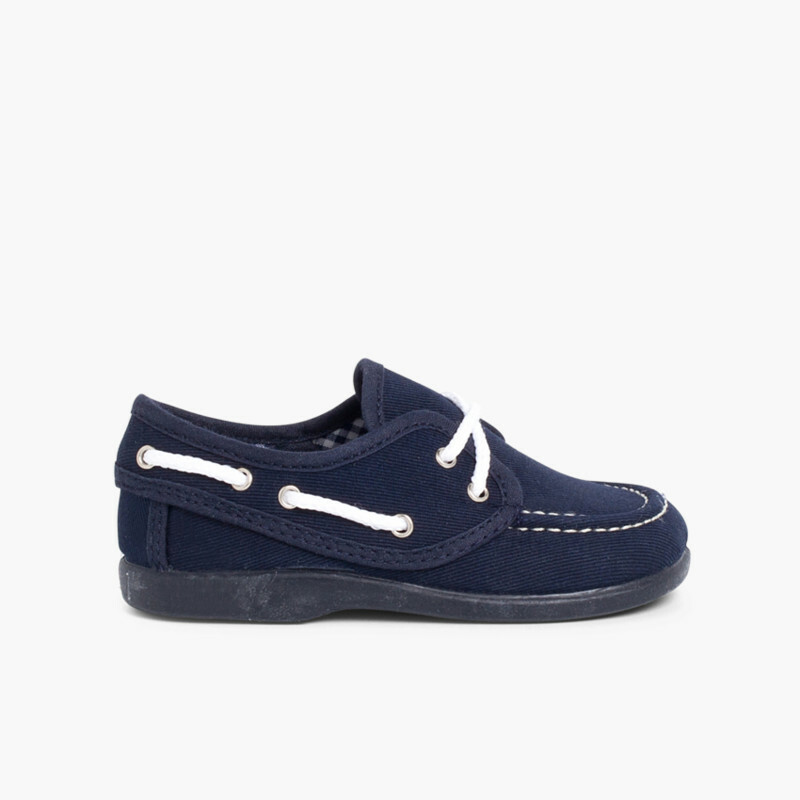 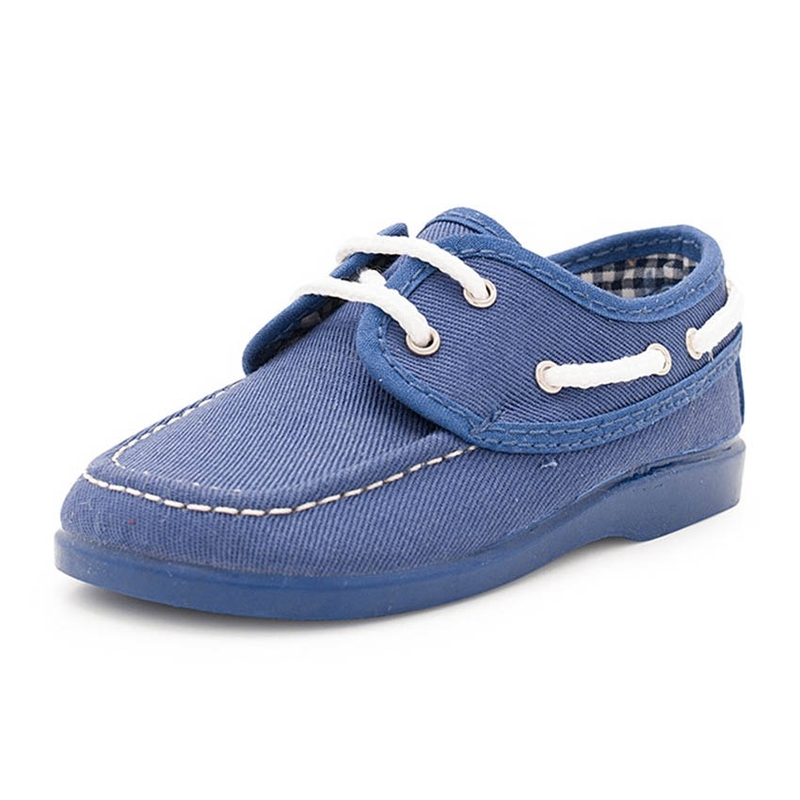 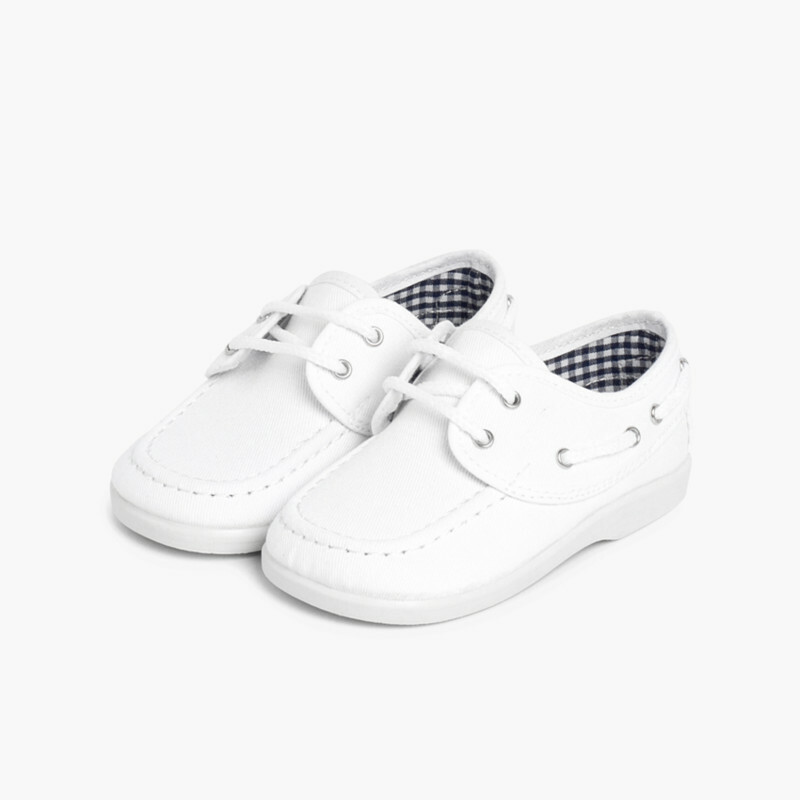 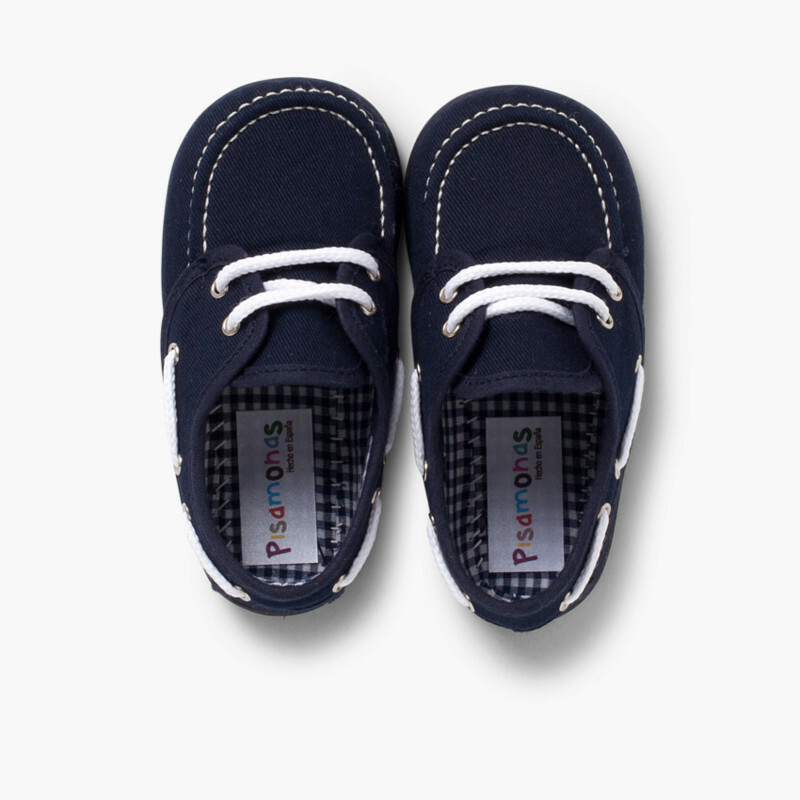 Boat shoes for boys made of canvas of the finest quality, very comfortable and suitable both for casual and dress wear. 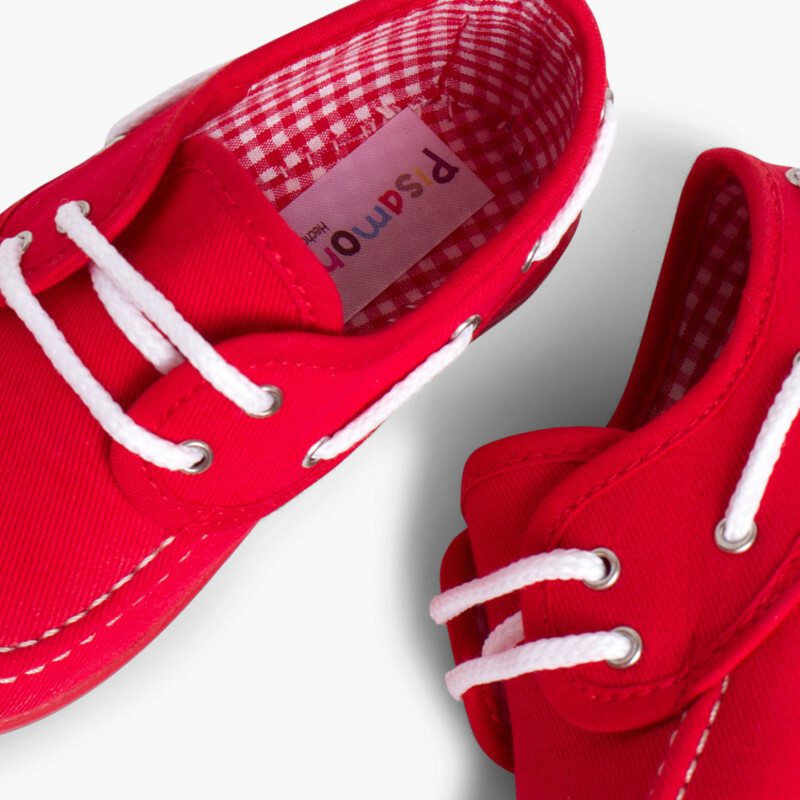 Stunning and durable. 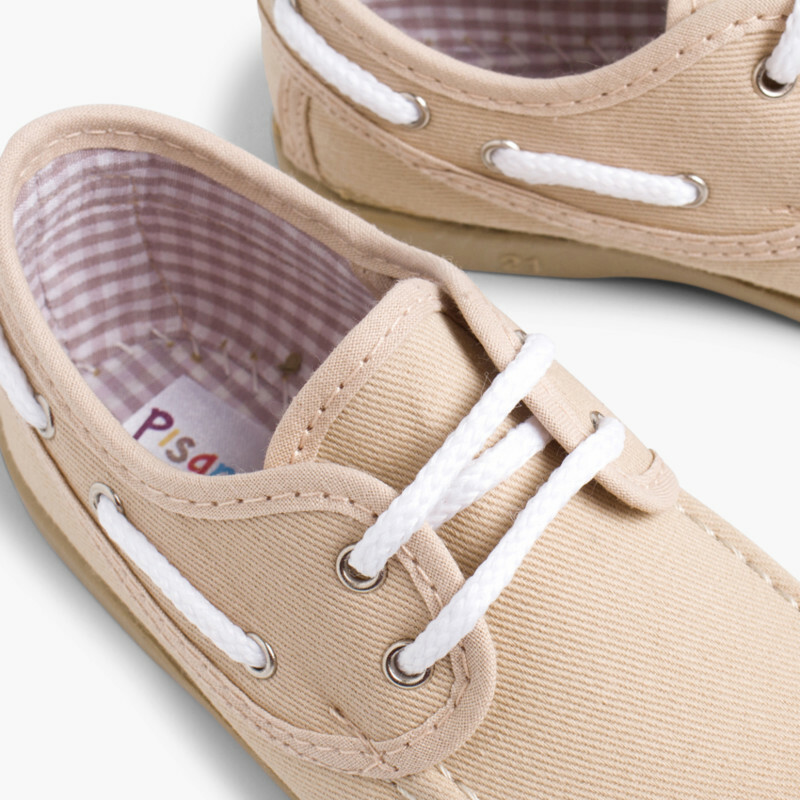 Boat shoes never go out of style. 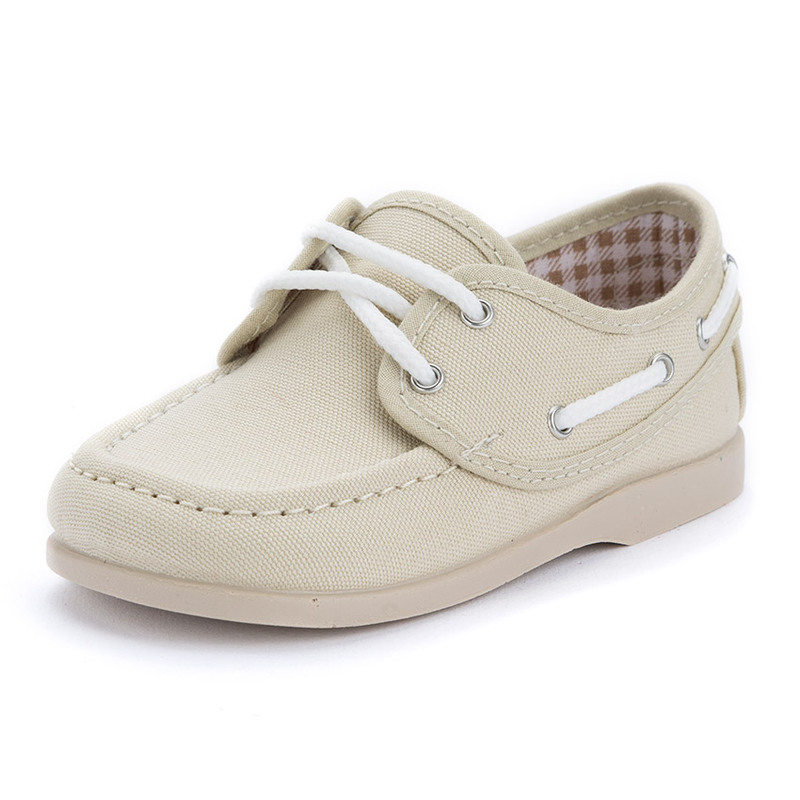 Suitable for spring, summer and autumn. 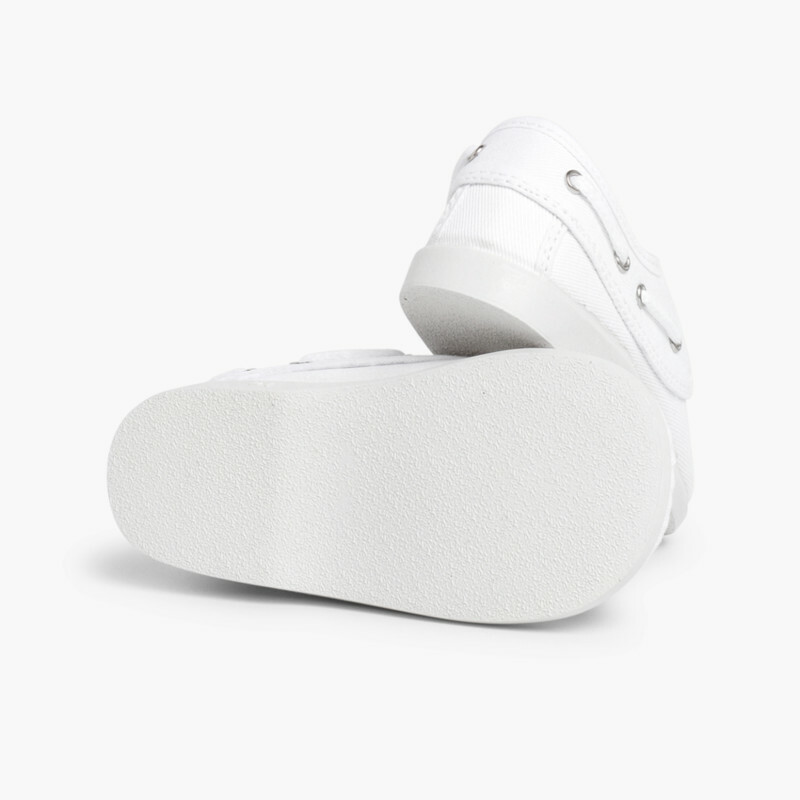 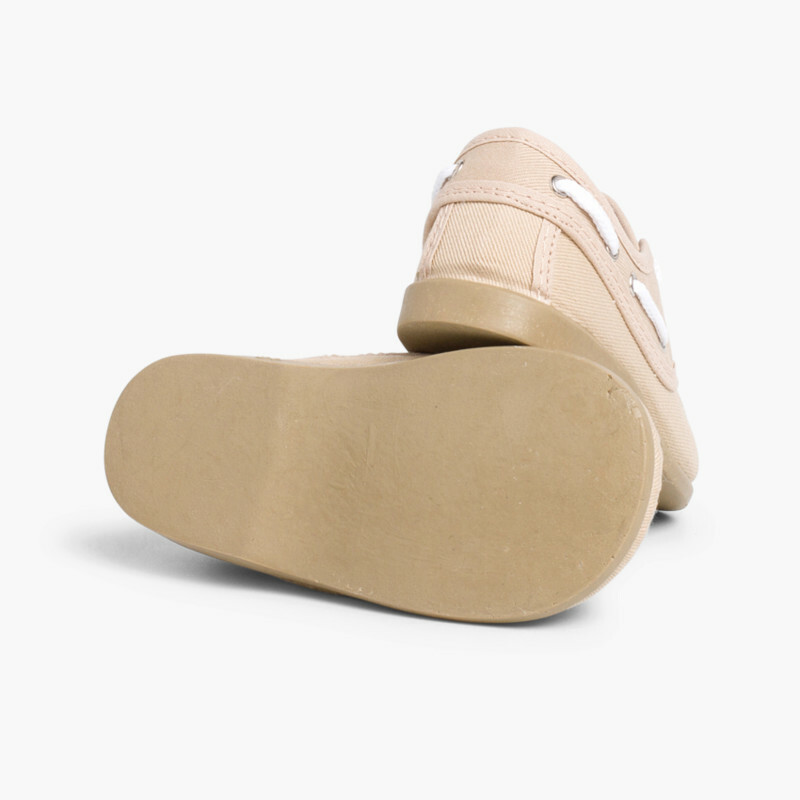 Anti-slip soles in matching colours to stay trendy. 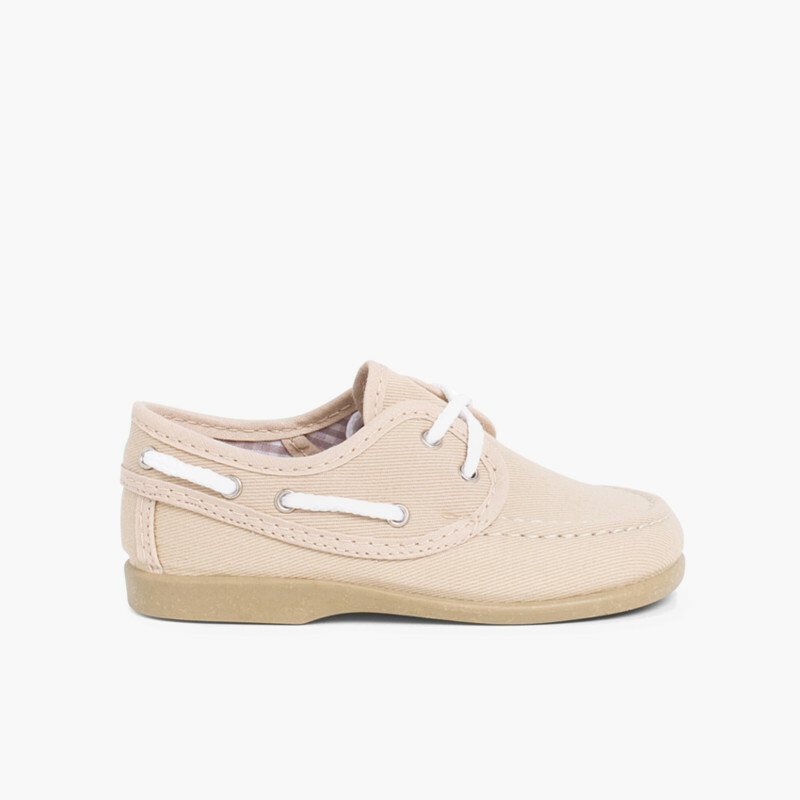 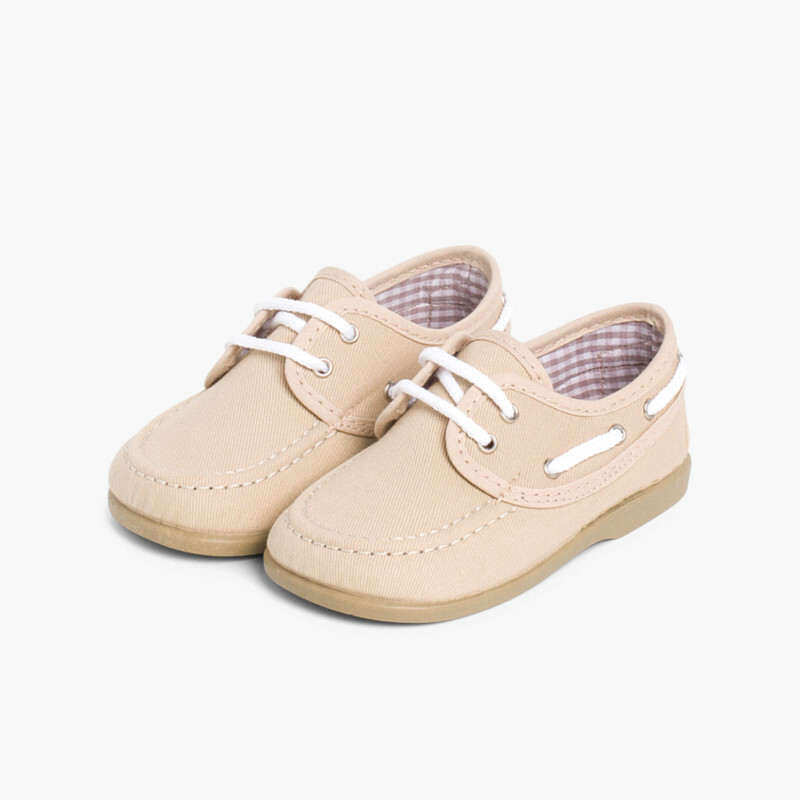 Made of canvas with comfortable lace-up fastening and white laces. 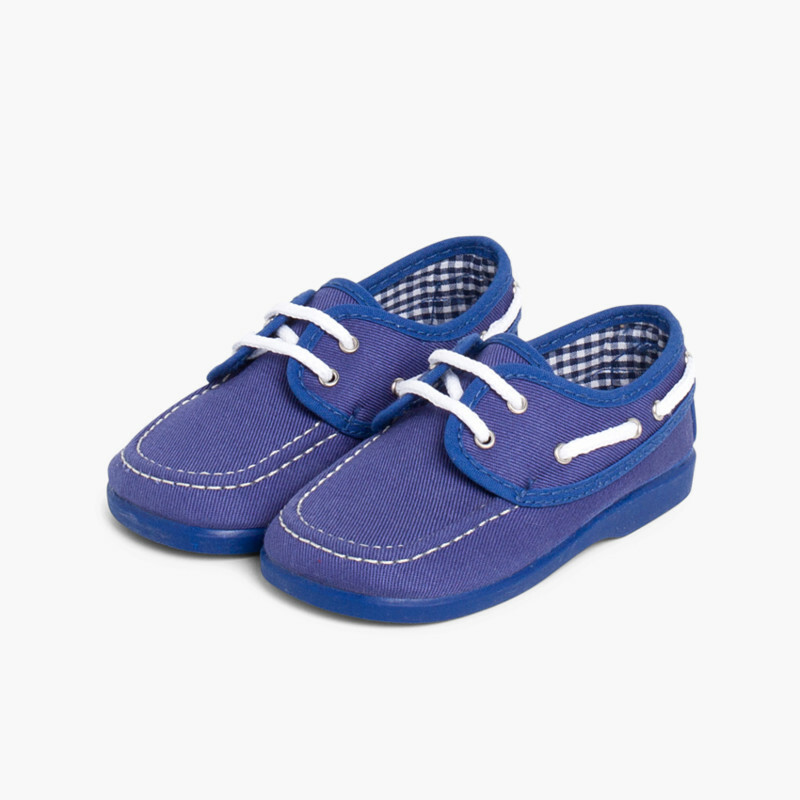 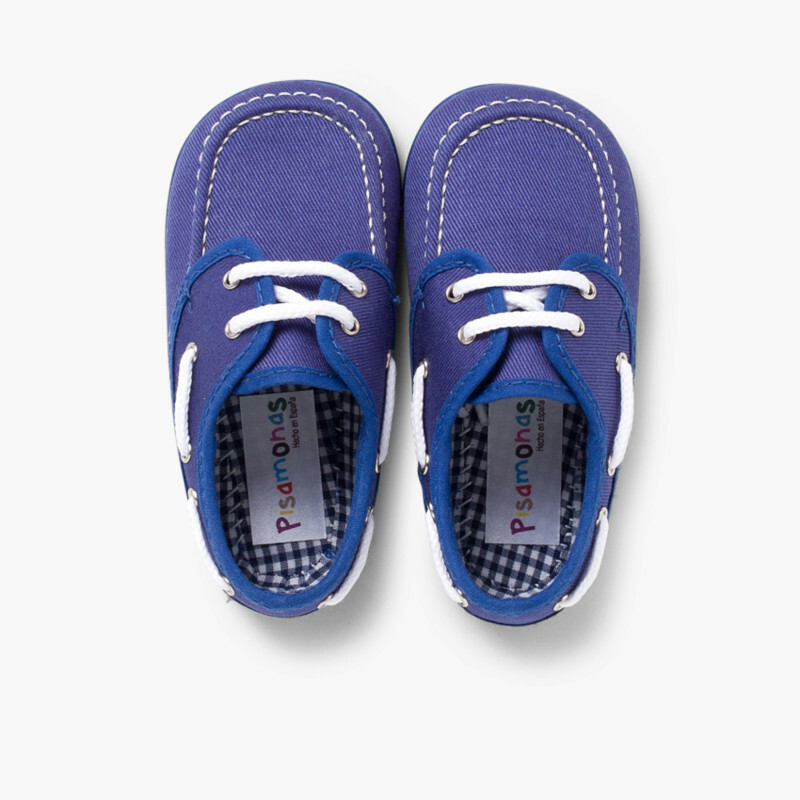 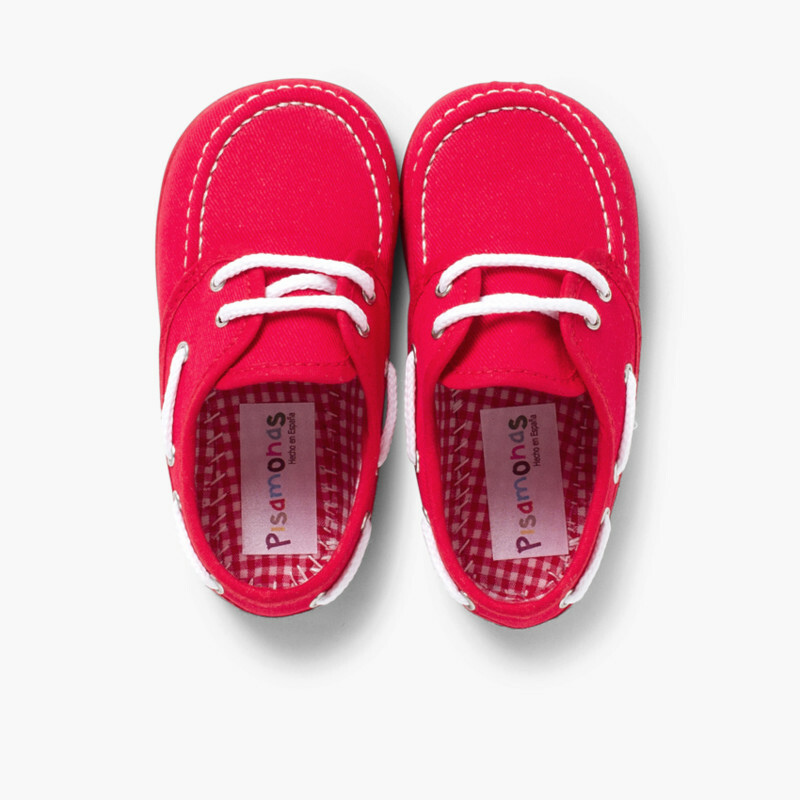 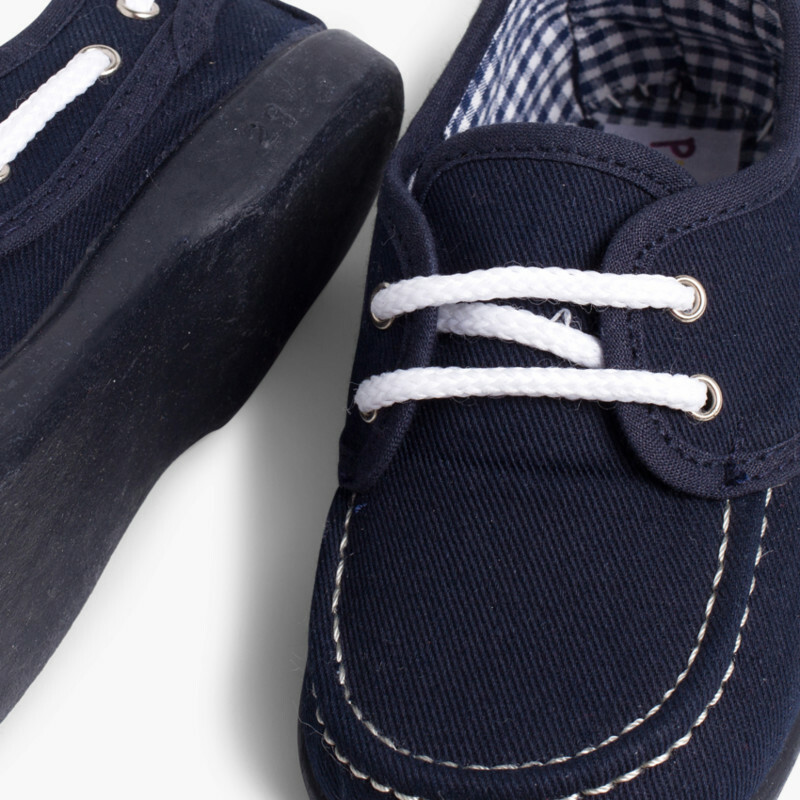 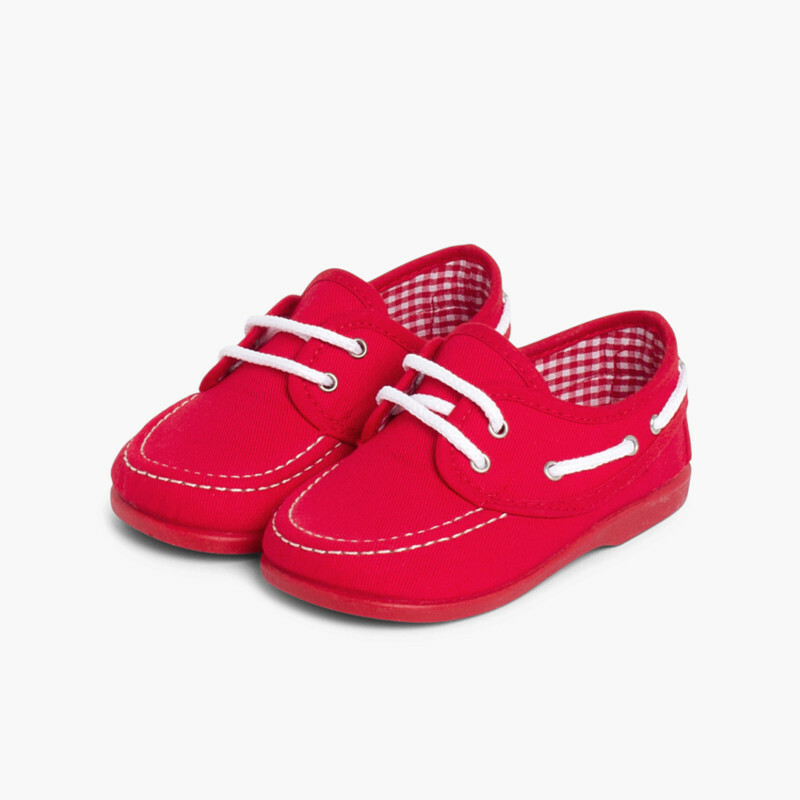 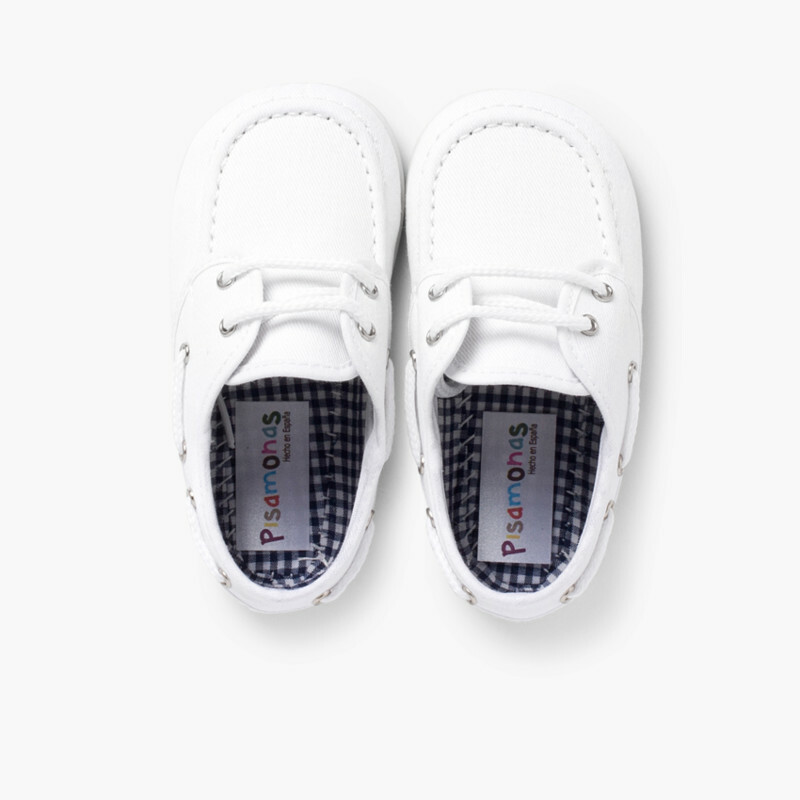 Perfect for the little ones that master the art of laces. 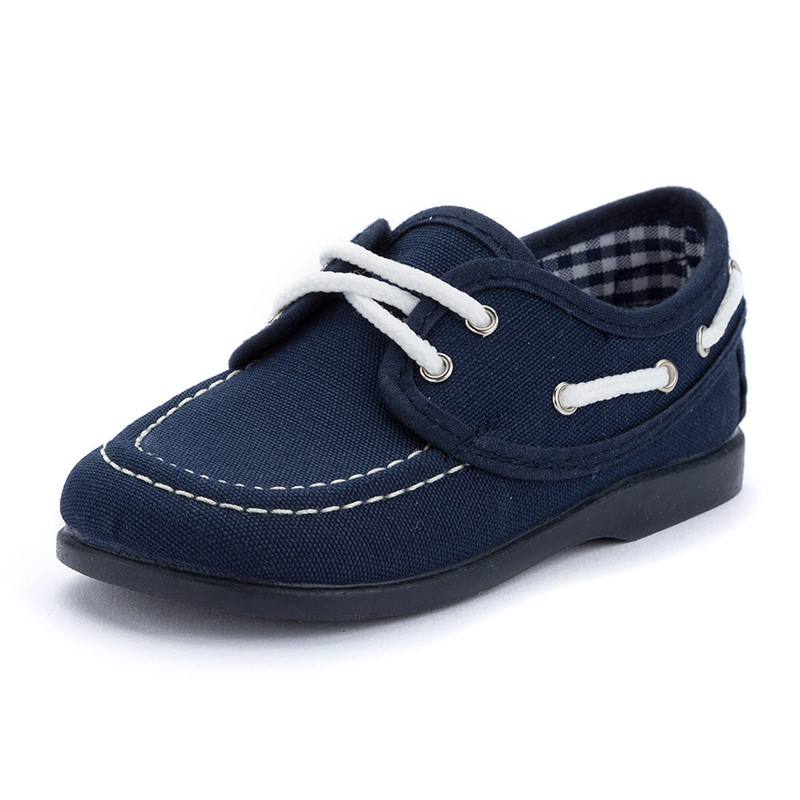 If you doubt between two sizes, we recommend you to buy the small one as this style runs big. 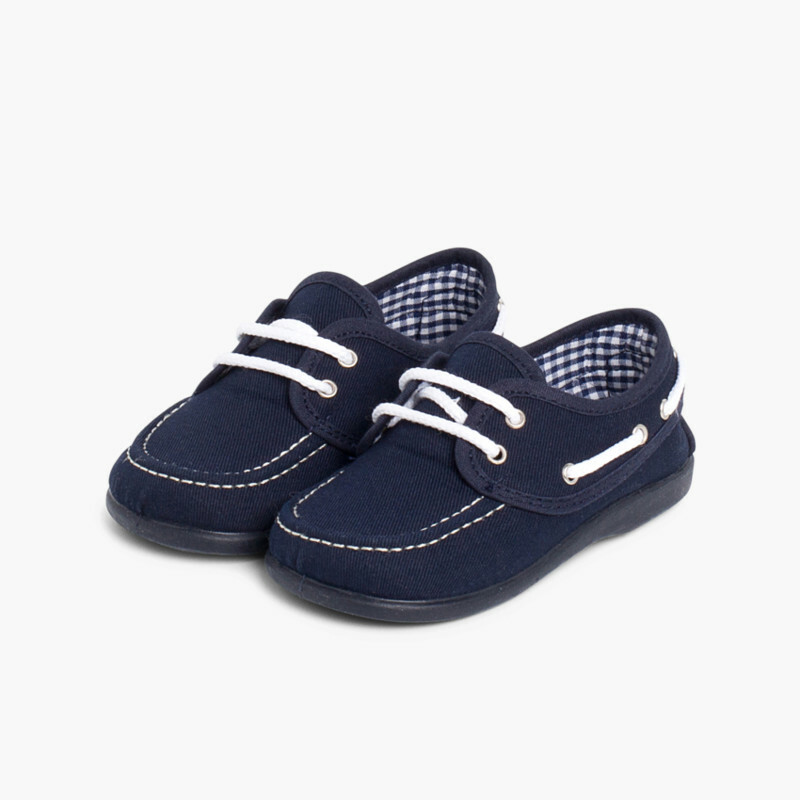 Quality boat shoes 100% made in Spain.